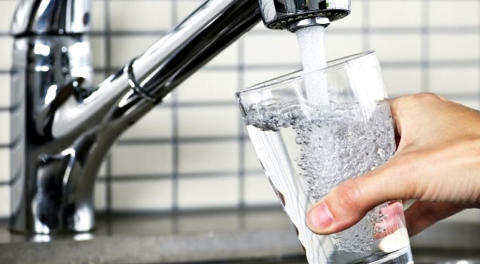 Chemicals may be a threat to our drinking water. Ensuring that our drinking water is safe is therefore of utmost importance. Together with the German Environment Agency, NGI is on hosting a workshop in Berlin. The mission? Protecting EU's drinking water. Some say that diamonds are a girl's best friend. In the history of the world, numerous countries have gone to war over both gold, oil and diamonds. However, neither diamonds nor oil is worth nothing in the absence of clean drinking water. In collaboration with the German Environment Agency (Umweltbundesamt - UBA), NGI will host a workshop to discuss newly proposed criteria and an assessment procedure to identify chemical substances that pose a hazard to our drinking water. The open workshop with over 100 registered participants thus far will be held in Berlin on 13th and 14th March 2018. "Water is more and more becoming a scarce resource. And not just any water; clean, fresh and non-toxic drinking water is what the world needs. Protecting this resource is why we have embarked on this journey to secure the quality of water for all of us", says Hans Peter Arp, Principal Engineer with the Water and Resources section at NGI. In order for a chemical substance emitted into the environment to pose a threat to the sources of our drinking water, it must overcome a number of obstacles. "Only the "fittest" and most persistent of chemicals will survive transportation from the point of emission through soil layers, riverbanks, aquifers, and other natural or even artificial barriers, often taking this journey for several weeks or more. 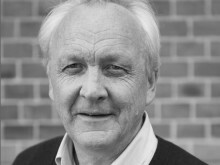 Therefore, only those substances that are both persistent in the environment and mobile in the aquatic environment will survive such a journey", explains Hans Peter Arp. In alignment with the EU wide REACH regulation (Registration, Evaluation, Authorization and restriction of CHemicals), UBA has proposed criteria and an assessment procedure to identify Persistent, Mobile, Toxic (PMT) and very Persistent, very Mobile (vPvM) substances that pose a hazard to the sources of drinking water. The workshop "PMT and vPvM substances under REACH: Voluntary measures and regulatory options to protect the sources of drinking water" will further the discussion about the proposed criteria and identify future steps for the implementation of the concept. For this workshop, NGI has prepared a preliminary assessment of substances registered under REACH that could fulfil the proposed PMT and vPvM criteria. See lenke til rapporten "Preliminary assessment of substances registered under REACH" here. Day one of the workshop will focus on the proposed PMT and vPvM criteria and points of view from the chemical industry, water authorities, scientists and regulators, including speakers from CEFIC, Oasen, DVGW and the Swiss Federal Office for the Environment (BAFU). Day two will focus on the future outlook for the concept, specifically advantages related to voluntary action, regulatory and mitigation measures. Several case studies will be presented and the European Commission will provide their opinion related to current and future regulatory options for PMT chemicals. The contamination of the sea is one of our greatest environmental challenges. NGI contributes to cleaner seas, and participates in research programmes and international initiatives that aim to prevent pollution and give cleaner seas. Online measurement and monitoring of hydrocarbons in water, and research on how microplastics are spreading and affecting the seas of the world, are two examples.